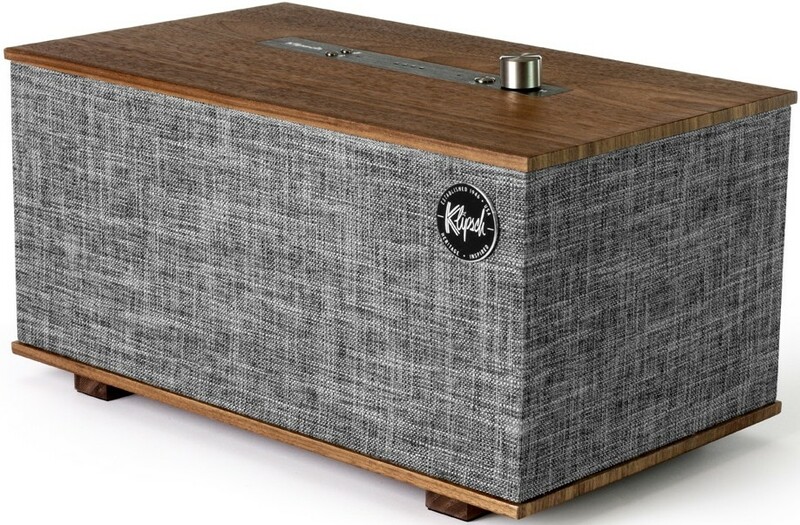 An alternative model to Klipsch The Three wireless speaker for the same professionally-tuned stereo sound but with built-in Google assistant for hands-free voice control. 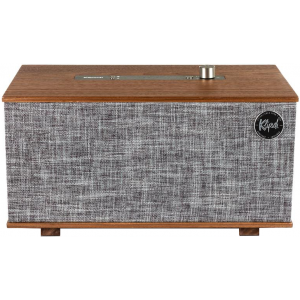 Klipsch The Three wireless speaker with Google Assistant built in delivers a premium audio experience that has been professionally tuned by Klipsch acousticians. 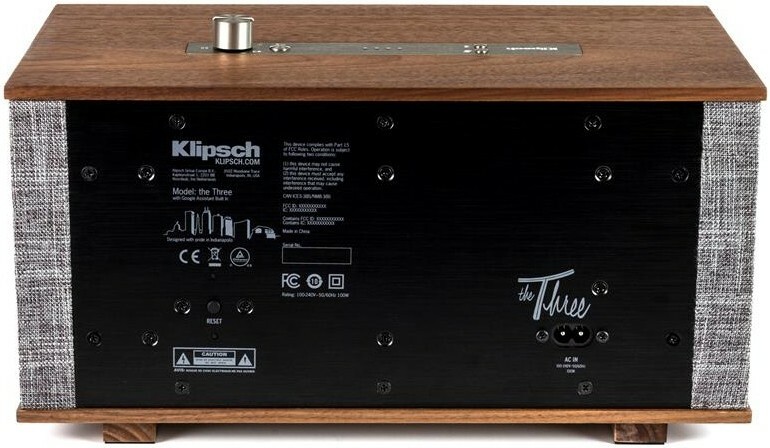 The tabletop system effortlessly pumps out powerful Klipsch sound with deep bass and clear dynamic range, delivering constant directivity and all the power, detail and emotion you expect from a live performance. 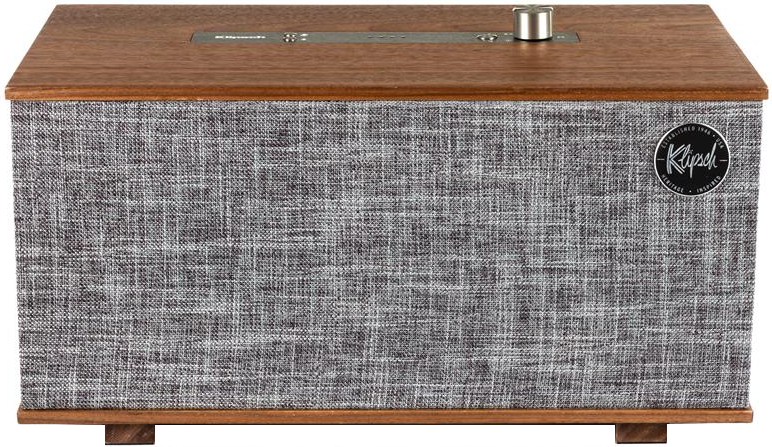 Listen to your content in several rooms with multiple Google Assistant compatible speakers. Easy and simple set-up with Google Home app allows you to manage The Three tabletop stereo system with the free Google Home app on iOS & Android. Bluetooth wirelessly streams high-quality sound from your device. Stream your favorite entertainment and apps from your phone, tablet or laptop right to your speakers with built-in chromecast. Three tabletop stereo system also features 92kHz / 24-bit decoding for flawless reproduction of high-res audio tracks on services that support high-resolution audio. Enjoy entertainment with Google Assistant to play music, podcasts and radio or stream videos to your TV with Chromecast with a simple voice command. Control your home by simply asking your Assistant on your speakers to set the perfect temperature with Nest or turn down the lights with Philips Hue. Plan your day for help with things like your daily brief, your flight information or your commute to work. Check on the latest weather and traffic in your area. Google Assistant can also manage tasks when you add items to your shopping list and stock up on essentials. Set alarms and timers hands-free. Get answers on sports, weather, finance, calculations, translations and more.